On 5 July 1825 the first emigrants left Norway and Stavanger in a sloop to start a new and better life in the US. The journey took around three mounts and on 9 October the first Norwegian immigrants arrived in New York. “…in 1825, during a period of particularly fierce religious strife in Norway. In July of that year, a group of six dissenting families, seeking a haven from the official Norwegian state church, set sail from Stavanger in an undersized sloop, the Restaurationen. When it arrived in New York harbor after an arduous 14-week journey, the Restaurationen caused a sensation, and the local press marveled at the bravery of these Norwegian pilgrims. Local Quakers helped the destitute emigrants, who eventually established a community in upstate New York. Today, their descendants are still known as “sloopers”. You can read more about the Sloopers here. 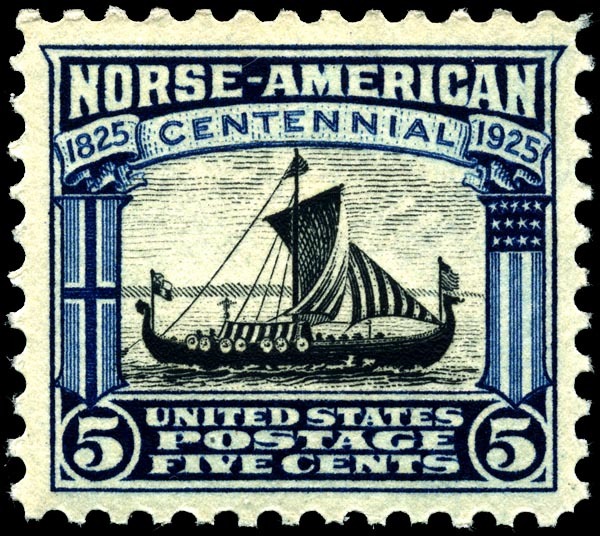 This was the beginning of the Nordic immigrations to US, and over the next century, more than five million people from the Nordic countries Denmark, Norway, Sweden and Finland settled down in the US. Expedia’s Nordic Migration Map charts the mass movement of Nordics to the United States from the mid 19th century up to the second half of the 20th century. Select one or more countries and use the timeline to see where and when they settled. This article from the ThorNews blog is really quite interesting. It’s the history of Nordic immigration to the United States, in one handy map! I love technology because it allows us to find new dimensions on the teaching and understanding of history, as this map illustrates. Good job ThorNews, as always. Interesting that nearly all the migration was to Minnesota and Wisconsin. I wonder what are the destinations of choice for todays Nordic migrators?